Maintaining proper accounting records has always been the responsibility of a director of every company. But there are changes afoot. In this e-brief we look at how HMRC’s new approach to expenses will affect what you, as a contractor need to do. Contractors operating through their own personal service company (PSC) and acting as its director can easily meet their obligations for maintaining proper accounting records by using an appropriate contractor accounting system. 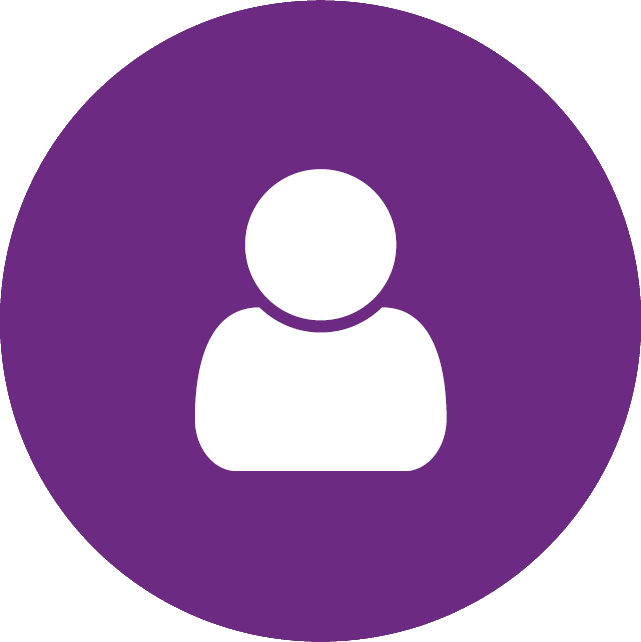 Systems are readily available from specialist contractor accountants (such as that provided within Intouch Accounting’s standard monthly service) or by paying additional subscriptions for one of the alternative independent systems such as FreeAgent or Xero. Of course the accounting system must be kept up to date and should always be complete and accurate, but its relatively simple to do for most contractors, especially when using a system specifically designed and simplified for contractors’ use. However, simply entering your business transactions into an accounting system is not the full story. Whilst accounting systems very successfully record business transactions directors are also obliged to retain supporting information adequate to explain the nature of any transaction and the reason for it. You’re supposed to retain business records for six years and that’s a lot easier now with digital copies. But don’t throw away any of your paper records unless you have scanned and saved a digital record and are able to recall the document when asked to do so. Don’t forget to make regular backups! Since 2010 HMRC has been encouraging all small businesses to improve their record keeping and operate a system of business records checks. The objective was intended to improve the quality of contractors’ accounting records and provide advice where necessary to small businesses, although some some sceptics would say it was just another excuse to pry into the records of a business! 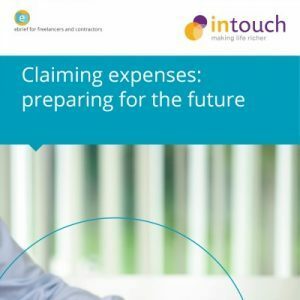 Expense claims play an important part of the finances for a contractor and are instrumental in ensuring that only the right amount of tax is due and paid. Contractors should regularly claim all genuine expenses to ensure that tax relief is obtained and tax is not payable unnecessarily, either by the employer (your company) or you personally, as a director/ employee. But also care should be taken to avoid tax and National Insurance (NI) on expenses that are not genuine business expenses and become taxable through the payroll or as a Benefit in Kind. The law around expenses can often appear complex but the general rule is relatively straightforward. The starting point is that any payment to a director or employee in connection with their employment is taxable and consequently allowed as a tax deduction for the employer. Where payment is an expense incurred wholly, exclusively and necessarily in performing their role as an employee, they clam tax relief to counter the tax on the amount received. So for the director/employee the tax payable is cancelled by the tax relief due and the company claims tax relief on the expense paid to them. But if the payments made to the employee are not genuine business expenses they will be receiving income and not suffering any tax on the amount received. For several years HMRC has suspected that some employers – Umbrella companies in particular – are actively and deliberately abusing the expenses rules. HMRC are now aggressively acting against them. As a direct consequence HMRC are seeking to change the way business expenses are reported and taxed. New rules have already been introduced in the first Finance Act 2015 (The Act). What further changes are on the horizon? From 6 April 2016 all existing dispensation arrangements that allow expenses to be paid and not reported will come to an end. From then, all employers will only be required to report taxable expenses. It will become the employer’s responsibility to decide whether an expense payment is taxable and therefore reportable or not; with penalties when the employer gets it wrong. When employers reimburse expenses to a Limited Company director or an employee they must determine whether the expense is genuine and incurred in performance of the employment. If not then the expense is taxable and subject to PAYE and NI via payroll. Whilst this is a simplification of the reporting process, and on the face of it a positive step, it also opens the door for HMRC to take a more aggressive stance on employer compliance. Employers must now be more careful when reimbursing expenses to ensure they fully understand the reporting requirements. And getting it wrong can be a costly affair. The use of Benchmark Scale Rates (BSR) were historically approved as part of a general dispensation agreement. As dispensations will come to an end any existing agreement to use BSR must be confirmed with HMRC. Agreement will only be given until the end of the existing arrangement. If you fail to reconfirm and continue to claim scale rates those payments will be taxable on the employee. From 6 April 2016 all employers (including those whose prior permission comes to an end) must submit a separate request to use BSR. HMRC will have much more opportunity to deny such requests and to add specific rules to be applied by each employer. New claims will need to be supported by a much more robust expenses approach. The third major change introduced in the Act limits when an expense can be considered as payable by the employer tax free and is very specifically directed at umbrella companies and their abusive processes. The ultimate outcome is that expense claims made by umbrella workers, other than mileage claims, will no longer reduce the tax paid at source from 6 April 2016. Instead the individual employee must submit a separate and personal claim to HMRC to obtain tax relief and that claim will be limited to genuine expenses and much more closely scrutinised by HMRC. On first reflection the new rules don’t affect PSC’s. However for expenses to be paid the law has added an expectation that an appropriate expenses system is in place that can be extended to all employers. As HMRC expect even the smallest business to operate proper systems they will be best persuaded to allow expense claims by PSCs maintaining a greater system of control over reporting and the administration of expenses. Consequently PSCs will need to consider expense management in a way they have never had to before if they want to be safe when paying expenses to the director/employees (you). Whilst these three changes come into effect on 6 April 2016, the 2015 Budget also confirmed that HMRC will consult on changes that could lead to further restrictions, potentially an outright ban, on workers claiming travel and subsistence expenses incurred whilst travelling to work. With the Conservatives winning the 2015 Election this consultation is expected to occur mid 2015 and propose new legislation (most likely) also effective from 6 April 2016. The problem for PSCs is they may, unfortunately, also be subjected to more stringent rules over claiming travel and subsistence expenses and face penalties for getting it wrong. As a director of your PSC, and as the employer, you will need to become more cautious when claiming business expenses, ensuring they are properly recorded, you are entitled to be paid without tax deduction and retain evidence to confirm their genuine nature and reason. For all PSCs, if you want to gain the most tax relief from expenses then having the right practices in place will be essential. Changes to the way expenses are claimed and reported is inevitable and those changes are most likely to affect PSCs in some way or another. So what can you do to be prepared? The 24 month rule limits travel and subsistence claims for travelling to a workplace. You can expect that the rule will become a greater focus of attention and so how you control the validity of those claims will become a main feature of expenses for the future. Claiming subsistence whilst travelling is a major expense that can be claimed, but only in the right circumstances (see 24 month rule above). If you have not obtained approval to use BSR you should consider submitting a request. If you have permission then you should seek to extend this post 6 April 2016. Subsistence expenses ought to be receipted, even for scale rates. In the absence of receipts then the means to record the nature and purpose of the expense should be considered. Expenses with both personal and business elements are potentially contentious. You should ensure that you retain the basis of calculating the respective parts and that personal costs are excluded. Attention is also required for telephone and internet connections that existed previously as personal or where contracts are not in the employer’s name. Always retain receipts for all business expenses as it’s the best evidence of its genuine nature. Where you don’t have a receipt, and HMRC will acknowledge they are not always available, ensure that you retain a record of the nature and reason for the expense, what was purchased and from whom. If you already claim BSR ensure that you have permission in an existing dispensation. HMRC will be providing the means to retain use of the scale rates until the end of the original dispensation period. If you don’t have permission, don’t claim. Apply in the correct way and then ensure you meet the conditions HMRC impose upon you. HMRC expect you to have an expenses policy and then for that policy to be applied. It’s difficult when you are policing yourself, but HMRC expect this and may require an independent review process as part of the policy for director’s expenses. Always maintain full records to support every expense claim. If you don’t have a receipt then make a record of the nature and reason for the expense. Keep your receipts and make sure that you are able to recall them when requested to do so. Having a policy is the right thing but also being able to demonstrate that it is implemented and applied consistently by you as a director. HMRC believe that even the smallest business should have control and management in place, and just because you have a PSC does not exempt you from this. You may need to consider arrangements for an Independent Review of your expenses. Where an expense is paid and it’s intentionally part of the pay of the director or employee, make sure the expense is clearly identifiable as a taxable benefit and not missed during the reporting process. Working with a reputable contractor accountant means you don’t have to face HMRC’s changes alone. Intouch Accounting specialise in helping Limited Company contractors get the most, and the best, from their company and remain compliant along the way. We’ve listened to our clients and we know what’s important to them … that’s why more than 98% of those who’ve signed up with Intouch Accounting, have stayed with us! And the one or two who’ve left, have told us it’s because they’re going back in-house, but they’ll return to us if their situation changes.